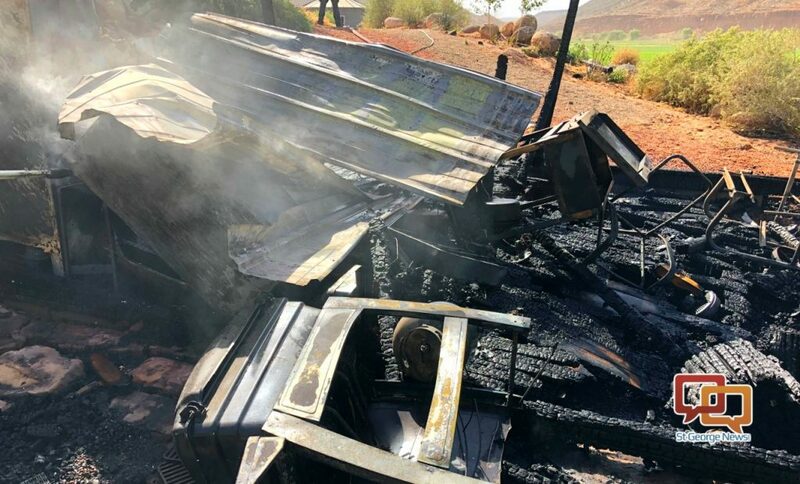 ST. GEORGE — A fire that engulfed an outside shed and nearly destroyed a nearby residence was extinguished by the quick actions of firefighters in Washington City Monday afternoon. Washington City firefighters responded to a structure fire at 3:45 p.m. on East Washington Dam Road involving a shed that caught fire approximately 10 feet from a residence, and upon arrival, fire crews found the shed fully involved in flames, Washington City Fire Department spokesperson Julio Reyes said. As firefighters attacked the active blaze, a second crew began dousing the residence to protect it from approaching flames made worse by the wind. After approximately 20 minutes the fire was extinguished. 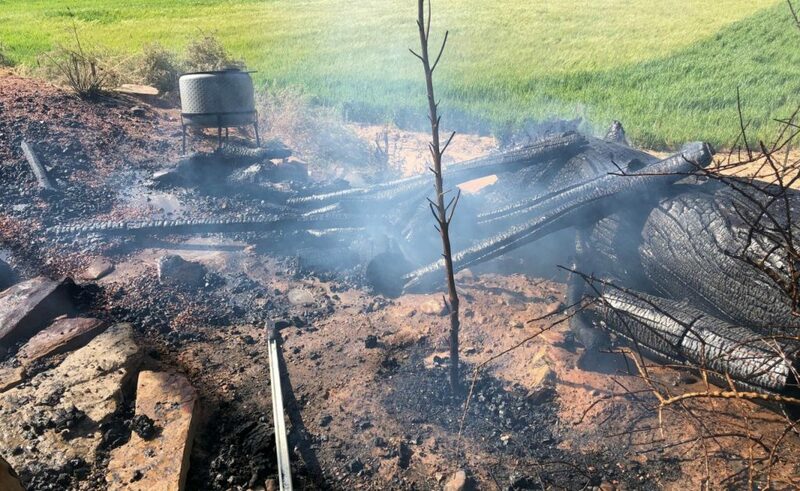 After speaking to witnesses at the scene, firefighters learned that the homeowner was burning a small amount of garden debris and weeds using a fire ring to prevent the flames from spreading. While the fire was still smoldering the homeowner received a call that required him to leave the residence in a hurry, Reyes said. Approximately 30 minutes later the resident’s son observed flames coming from the shed and called 911. Reyes said it appears the hot embers reignited after the homeowner left and then spread to a pile of wood stacked near the shed. From there, fueled by high winds, the flames spread quickly to the shed. 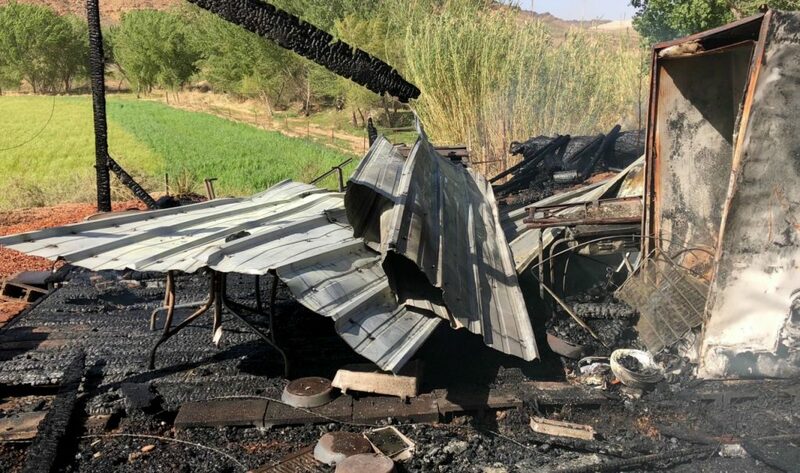 The shed was destroyed by the fire, Reyes said, while the home was spared, sustaining only superficial damage. Smoke and heat from the fire stained the stucco as it approached the exterior of the residence, and several window panes were cracked from the heat. Given the fact that the heat was sufficient to crack the windows, Reyes said, it was fortunate the house was doused before the flames could reach it. 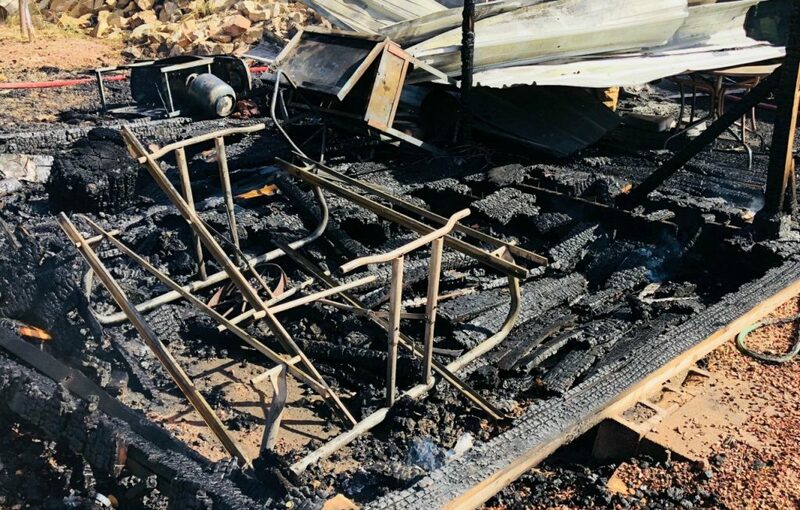 Fire crews remained on scene to extinguish any hot spots or areas that continued to smolder, while the residence was ventilated using fans to remove as much smoke as possible, further reducing the amount of damage to the home. Reyes said that the incident serves as a great reminder that high winds can cause a fire to spread quickly and that residents should avoid any outside burning when similar weather conditions are present. “Never leave a fire until it is complete out and use water to ensure there are no more hot coals,” Reyes added.